With the new BEF 60 splice cabinet from R&M, hyperscale data centers compact fiber optic cabling at the building entry point. The total capacity of the Building Entry Facility is 23,040 fiber optic splices. 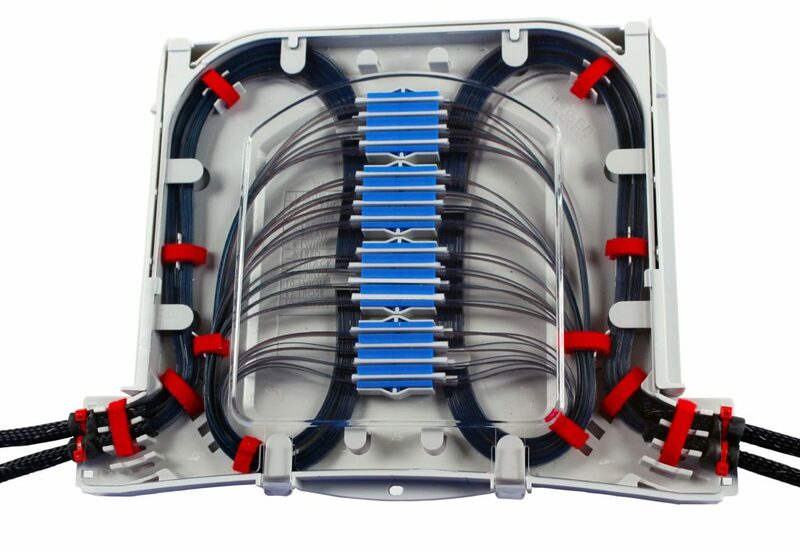 R&M USA develops high-density cabling platforms for connecting hyperscale data centers and commercial data centers. The latest product is the splice cabinet BEF 60 (BEF stands for Building Entry Facility). 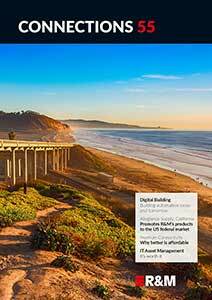 It outshines conventional building entrance solutions for hyperscale data centers. The cabinet components can be removed to facilitate assembly. Even the cable entry ports are assembly-friendly. Time-consuming threading of the cables through holes is no longer necessary. 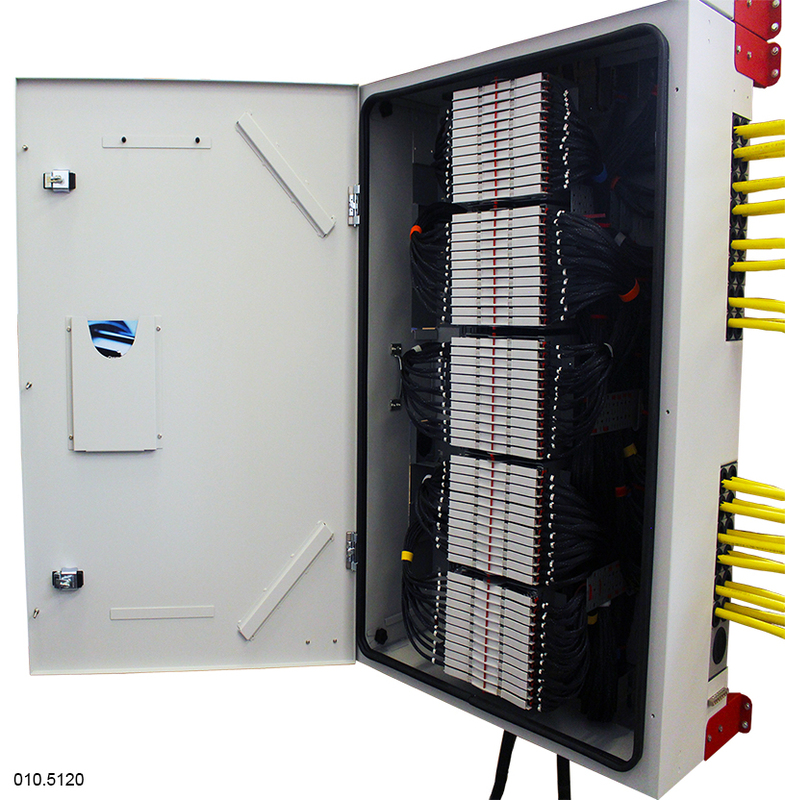 The splice cabinet can be assembled at a distance from the wall to cover existing conduits and introduce cables from the rear. The flat breakout box distributes up to 6,912 fibers to the splice drawers and protects them from mechanical influences with a U-shaped guide. Transparent plastic covers protect the splice drawers. All an engineer has to do is look through the cover to assess the situation. The cabinet itself can also be stacked. In this way, up to 100,000 splices can be accommodated at a narrow building entry point. Please find detailed information in the recently published media release.